The Valletta Pageant of the Seas is taking place in the Grand Harbour on the 7th June. The event forms part of the Valletta 2018 festivities to mark the 450th anniversary since Valletta’s foundation. The Valletta Pageant of the Seas is a unique activity set against the majestic backdrop of the Grand Harbour, this show will include: numerous regatta boats, power boats, yachts and carnival floats, amongst others. The activities start from 6pm. Mr. Micallef urged members of the public to arrive early to avoid any disappointment and to make use of public transport that will be working till late. The ferry service between Valletta and the Three Cities, as well as the ferry between Valletta and Sliema, will operate till 5pm and will then resume services after the event at 10pm. People can also make use of the Barrakka lift. The best viewpoints to enjoy the spectacle are the Upper Barrakka Gardens, Barriera Wharf, St Barbara Bastions, and Ta’ Liesse in Valletta. 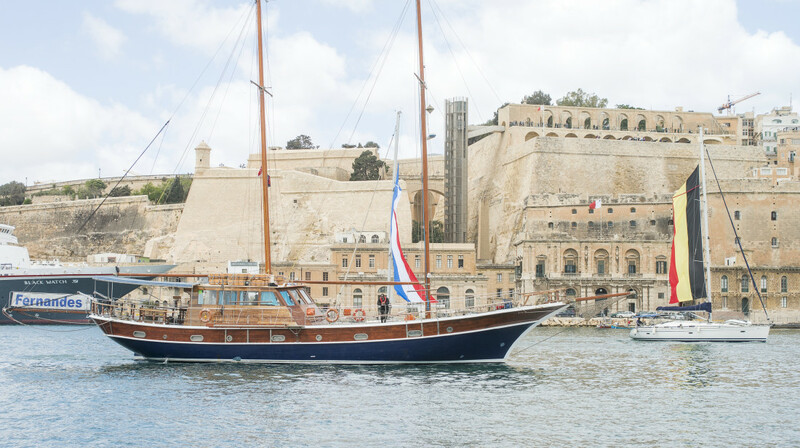 The Valletta Pageant of the Seas will kick off with the Għawma Toni Bajada, a large swimming activity involving hundreds of people crossing from Fort St. Angelo in Birgu to the Old Fisheries at Ta’ Liesse in Valletta. Those interested in participating can register here: http://ghawmatonibajada.puttinucares.org/, against a donation of €10 to Puttinu Cares. A regatta show will take place followed by a boat race with a unique twist. Various groups from around Malta and Gozo will participate in Tellieqa Telliqun, which sees people creating marine vessels from various materials, including recycled items and racing them across the Grand Harbour without the use of motors or oars. The festivities will culminate with a show of sailing boats accompanied by the Fernandes, which will be taking centre stage. Carnival floats will also float on water for the very first time in the Grand Harbour as winning carnival floats from this year’s carnival make their way across the Grand Harbour. UK-based outdoor events organisers Walk the Plank will be the highlight of the night with a stunt and light show. Bands will also be performing music for the crowds who will be present in Valletta to enjoy this family friendly event. Due to the complexity of the event, the Grand Harbour will be closed to marine traffic and drones will not be allowed to operate. The Valletta 2018 Pageant of the Seas is being supported by a number of Valletta 2018 partners including: Arts Council Malta, Captain Morgan Cruises, Yachting Malta, Armed Forces of Malta, the Malta Tourism Authority, Transport Malta, Walk the Plank, the Public Broadcasting Services, the Malta Film Commission and Heritage Malta.